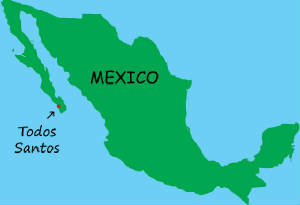 Our conservation activities take place on the shores of Todos Santos, Baja California Sur, Mexico. We patrol a 36 km stretch of beach from Playa Punta Lobos to the Bocana of El Carrizal in order to relocate endangered nests during the months of October-April. Hatchling releases will begin mid-November and last through spring. Hatchling Releases will be held on the beach in Las Tunas between Calle Mangos and Camino Internacional.